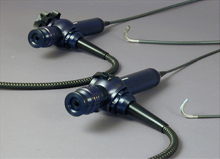 The world's smallest, self-contained, high performance, Hi-G camera. NAC's Memrecam Q Series is designed to support demanding multi-camera testing environments. The Memrecam Q Series boasts a 1.3 Mega Pixel sensor and is capable of recording brilliant color images at full resolution at up to 2,000 fps. The Memrecam Q's compact, rugged design, and its excellent light sensitivity, make it ideal for the confined spaces routinely encountered in automotive crash testing environments. The Memrecam Q Series comes standard with a built-in memory backup, so images are safe even if power is interrupted. The Memrecam Q is fully integratable with existing GX and HX cameras. The all new Memrecam HX-6 is like having two (2) cameras in one– Providing the user with the best possible solutions: the highest resolutions available, the highest light sensitivity available AND ultra fast imaging! The HX-6 offers an astounding 5 Mega Pixel resolution at up to 1,000 fps, full HD resolution at up to 2,300 fps, 1 Mega Pixel resolution at up to 4,600 fps, and so much more! 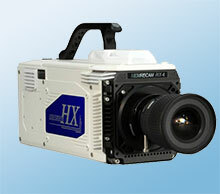 The Memrecam HX series: the world's most versatile family of high speed camera systems! The Memrecam HX Family represents the most versatile cameras in their class. When it comes to reliable, high-quality, high-speed camera systems, make the proven choice with NAC and you'll see the visible difference!